3. Now select any plan from Hatchling, Baby and Business Plan. We recommend having at least a Baby Plan because you can use this with any number of domains. Select the duration and click on “ORDER NOW”. 4. Now if you already own a domain then select the second option and enter the domain name else choose the first option and buy a domain of your choice. Remember Hostgator charges $15 for a new domain. We prefer buying it at a cheap rate from GoDaddy or BigRock, but then you need to transfer the domain to Hostgator which is absolutely free. 5. Now, this is the last step, pick a username and the security pin of your choice. If you want to change the plan and the duration, you can change it here. 6. When you scroll down you will see the below area. Here you need to fill your details. Fill everything correctly to avoid issues in the future. 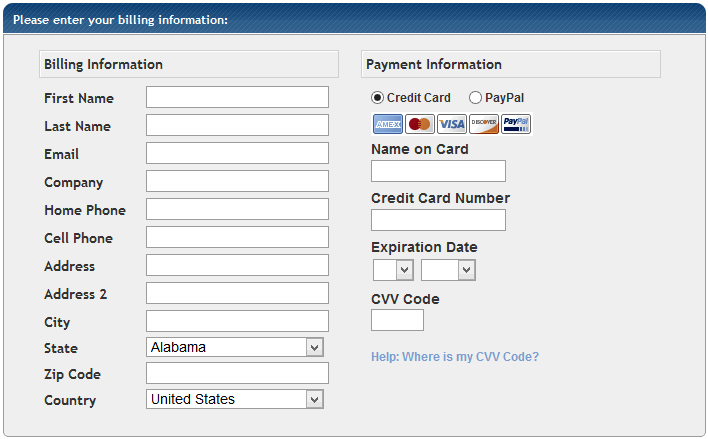 You can pay using PayPal or using your credit card. 7. Now scroll further and you will see the final price which you will be charged for your hosting. 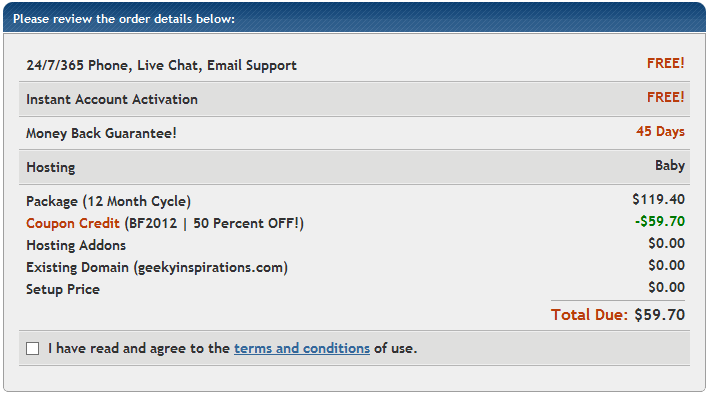 See the image below that confirms that you will get 50% discount on your hosting from Hostgator today. After filling up everything just click on “Create Account” at the bottom of the page. P.S. Hostgator does not offer 50 percent off now and then and it is a very rare offer. Hostgator is a very reliable and good hosting provider and if you are thinking of buying a website or are in need of changing your web hosting service then the time is now.